There are two major interstate freeways that pass through Nevada, I-80 in the northern section, and I-15 in the southern region. Interstate 80 traverses hundreds of miles of desert from the Utah border to reach the Reno area, which is very helpful. Usually Nevada car shipping carriers are just passing through the Reno/Sparks area on I-80 on their way to or from the San Francisco Bay Area. That’s because full loads can usually be amalgamated for the Bay Area. It makes little financial sense to travel empty the next 250 miles between Reno and the Bay Area. The Direct Express Auto Transport quote calculator attempts to compensate for that and actually make it worth a carrier’s while to take a load to Reno. We have to think of things like that for our customers. In southern Nevada, I-15 runs south-north from Salt Lake City through St. George, Utah, spends a smidgeon of time in Arizona, before intersecting Las Vegas where nearly 2 million people reside. That’s great for the big Salt Lake City to Vegas run, but doesn’t help much on cars being shipped to or from the eastern states. For that a carrier needs to jump off I-40 in Kingman, Arizona and drive 100 miles to Vegas. That’s called going out of his way. Now it’s usually worth it if there are at least 2 or 3 vehicles in Vegas to either pickup or deliver. Las Vegas is just big enough for that to be normally the case. As well, most carriers running east-west are going that far to get to the Los Angeles basin, not just Las Vegas. So our Nevada car transport quote calculator factors that reality into Las Vegas quotes, thus making them more appealing for car shippers. Again, we need to think of things like that well in advance. Almost 86% of Nevada’s land is owned by the United States government – your tax dollars at work. Before you get too excited, it’s mostly desert. So if you are shipping to or from Nevada, chances are high that your Nevada car shipping order has something to do with either the Las Vegas or Reno areas. Just about anywhere else becomes a long shot to go fast, though not impossible if located along either I-80 or I-15. In the last 30 years, Las Vegas has experienced quite a boom. 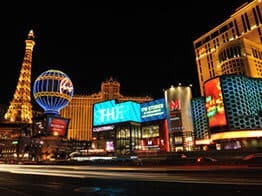 Las Vegas has nearly tripled in size, from a population of about 750,000 people to now roughly 2.2 million. Housing is far more affordable in Las Vegas than it is in California, making it a desirable place to live. And people elsewhere, especially from the colder states, gravitate to Nevada’s warm climate. Frankly the summer’s are brutally hot, as people shelter in the air-conditioned indoors for most of the day. But late September to early May are usually spectacular. Nevada has a population of just over 3 million people. And the greater Las Vegas Valley is home to nearly 75% of the state’s inhabitants. Quite naturally, Nevada car shipping is therefore centered on Las Vegas. 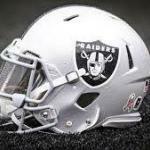 The Oakland Raiders have noticed and are relocating their bad boy image and team to Las Vegas starting in 2020. In all likelihood, the auto transport industry is only going to get bigger in Nevada. Visit Direct Express Auto Transport to fill out a simple form and get a free car shipping quote. We make it easy to book your vehicle shipment online.